Congratulations on booking your next holiday!. There's nothing more exciting than having a cruise to look forward to. Now you've booked your cruise it's time to consider a few important arrangements still to be made before your adventure begins. You should make sure you have completed your respective cruise lines' online booking form, and you may also want to start considering the shore tours available to reserve prior to your departure. Travel insurance is also an important part of your arrangements and you may need to add flights or hotels before or after your cruise. We can help you every step of the way. View further information on your next steps here, or call us on 1-300-662-002, we'll be happy to help. 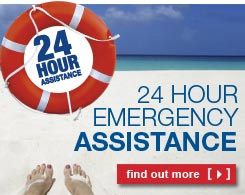 The most important step to do if you haven't already done so is take out comprehensive insurance to protect you against any unforeseen circumstances which may disrupt your holiday, or worse. The true value of an insurance policy is when it comes time to make use of it. Don't be caught out, ask us for a quote from one of our preferred insurance providers, or click on the link above to obtain a quote and save 15% by purchasing a policy online. Visiting a new destination and immersing yourself in their culture is always an exciting prospect and by adding a little adventure into your holiday through one of our unforgettable excursions, youcan embark on some of the most wonderful experiences imaginable. From exploring desert landscapes, to swimming with dolphins or visiting some of the world's cosmopolitan capitals, there will always be something to fall in love with. 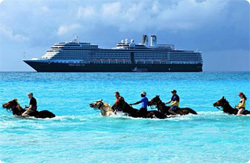 CruiseAlong offers a wide variety of excursions to suit all ages, interests and abilities,from leisurely sightseeing tours, or action packed activities, to lazy days on the beach. If you want to save money we recommend our shore tours partner 'Shore Excursions Group' to book your tours. You can save up to 20% off the prices of tours booked through the cruise lines, and chances are you'll escape the crowds too. Find out more here.